The students will be able to visit their upcoming classrooms, meet new classmates, fill out an interest survey, and become acquainted with their new teacher while enjoying a few fun activities. The sixth grade Leadership Ambassadors will be escorting students to their new pods to give students the opportunity to become acclimated with their new environment. 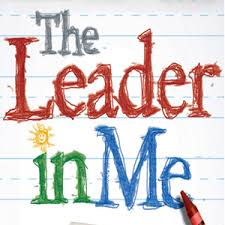 This is an opportunity for our sixth grade leaders to model the 7 Habits to the young, upcoming leaders. We are so excited about this leadership event!